Brand New! 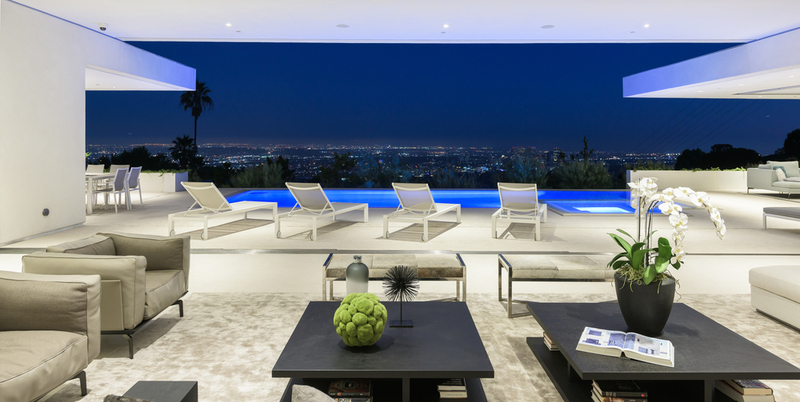 Trousdale Modern Masterpiece. This 5 bed/6 bath property with nearly 7,000 square feet of indoor/outdoor living space is the true definition of an entertainer’s paradise. 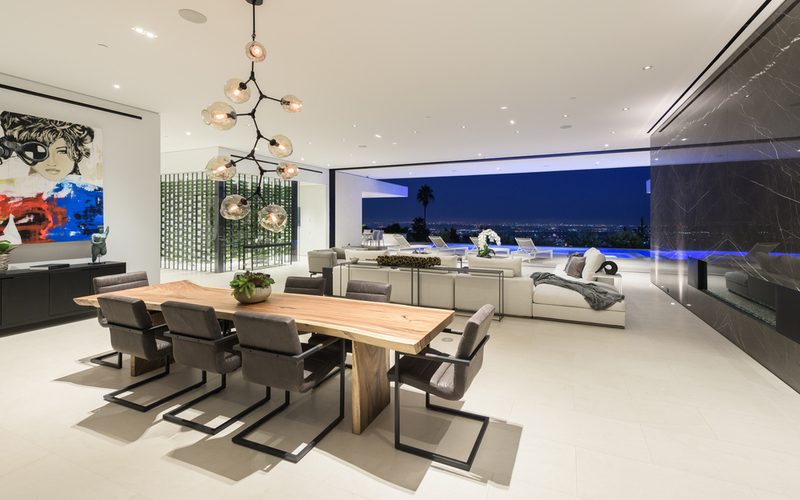 This one story home has epic unobstructed views from downtown Los Angeles to the ocean, with walls of glass that open with a single touch of a button. Using only the finest materials & high end finishes, this gated motor court is walled off by a huge custom water feature that leads into a towering glass entry. Once inside, the open floor plan has soaring ceilings, custom nine-foot solid hardwood doors & nearly 12-foot tall Fleetwood walls of glass, which vanish into the walls. Featuring a gorgeous movie theater, second full kitchen, Control 4 smart home & climate controlled 1,000 bottle glass wine cellar. 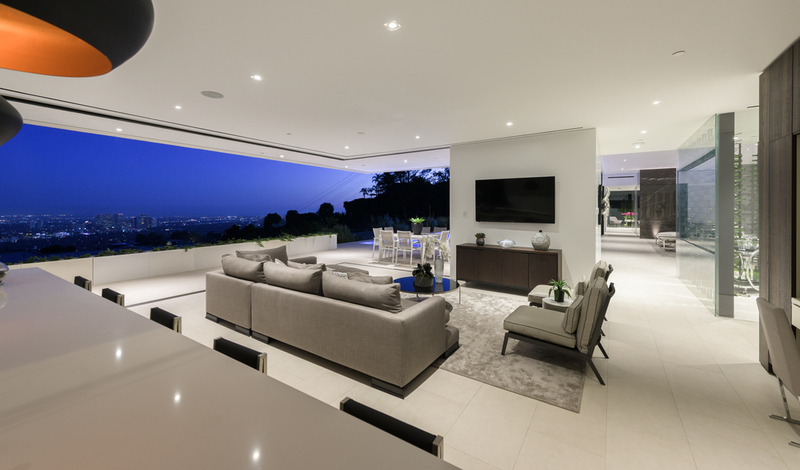 Backyard has lush landscaping & an outdoor fireplace with built-in seating to warm up & gaze upon the endless views. A must see property at an incredible price.